STARKVILLE, Miss. -- Growing conditions first helped but then hurt Mississippi strawberries this year as the 2017 harvest season comes to an early conclusion. Eric Stafne, fruit crops specialist with the Mississippi State University Extension Service, said a mild fall and winter helped the crop mature a little earlier than normal. "The cold weather events of March 15 and 16 may have caused some problems for a few growers, but overall things look pretty good," Stafne said. "Strawberries always are a labor-intensive crop. Recent rains have led to anthracnose and botrytis fungal diseases." 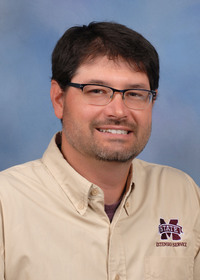 MSU horticulture researcher Bill Evans is based at the Truck Crops Branch of the Mississippi Agricultural and Forestry Experiment Station in Crystal Springs. He said researchers are testing some cultivars that have not been grown much in the state yet. Mississippi has relatively few commercial strawberry growers. If a few other growers find success, the number of berries available in local markets will increase. “There is interest from many growers, but the crop is very capital- and labor-intensive, often requiring more than $10,000 to establish and maintain an acre before picking the first berry,” Evans said. Mel Ellis grows 14,000 to 15,000 strawberry plants on the Mayhew Tomato Farm in Lowndes County. He explained that he is not looking to expand or reduce his crop from year to year. Ellis said his strawberries matured early. Diseases have not been a problem yet. As temperatures rise, he said diseases could become an issue for his final berries of the season.